We are pleased to share with you the 2018 Deloitte Human Capital Trends Report for South Africa. We have provided an introduction and link to access the report below. 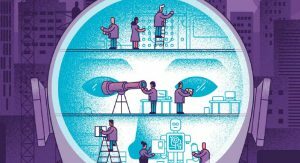 This country report is a companion to the Deloitte Global Human Capital Trends 2018 report, which is one of the largest of its kind in the world. Over 11 000 executives from 124 countries participated in the global survey, including 354 South African business and HR leaders. These professionals offered insights into the future of work and human capital’s valuable role in shaping it. Our theme for this year, “The rise of the social enterprise”, reflects the shift in the growing importance of social capital in shaping an organisation’s purpose, guiding its relationships with stakeholders and influencing its ultimate success or failure. In 2018, we are witnessing seismic changes in the workforce, the workplace, and the technologies used in the world of work. Organisations are no longer assessed based only on traditional metrics such as financial performance, or even the quality of their products or services. Rather, organisations today are increasingly being judged on the basis of their relationships with their workers, their customers, and their communities, as well as their impact on society at large – what we see is a transformational shift from business enterprises into social enterprises. In the last Deloitte Global Human Capital Trends report, we noted the movement of many organisations towards a “network of teams” operating model that aims to enable greater collaboration and internal agility. This movement has been joined by the growing shift from an internal, enterprise focus to an external, ecosystem one. Organisations on the leading edge of both of these changes embody our concept of the social enterprise: an organisation that is alert enough to sense, and responsive enough to accommodate, the range and scope of stakeholder expectations and demands. This report is compiled and published by Deloitte & Touche (Pty) Ltd. Entrepreneurship without skills limits your growth potential.